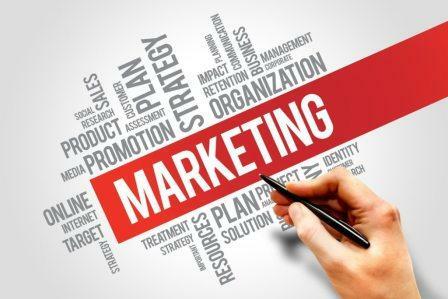 In this article we will focus exclusively on the basic elements of marketing and advertising, which will be useful to you in your daily work. This article does not claim to be training material, but just gives you some advice on how to quickly introduce some knowledge of marketing and advertising into your business and get a quick result! What problems can I solve with this product? What competitive advantages does my product / service have? What offer can I make to my client to encourage them to buy? How can I limit my offer? What action should the client take immediately after reading the advertisement? Where your clients spend time, do they read, watch television, or surf the Internet? Based on the answer to this question, you will find the best place to advertise? How am I going to test the ad and what response do I expect? If any of these three components are overlooked, then advertising will not work. For example, if you come up with a good MESSAGE, chose the right target audience - the MARKET, but have placed your message in the wrong place or on the wrong medium (i.e. you have chosen the wrong WAY), then the advertising can be a failure. You sell a face care cosmetic. This is a premium handmade cosmetic with natural ingredients. Its cost is lower than the cost of your competitors by 30%. Sold by direct sales, no retail stores, and only through authorized sellers. So, make a marketing plan! 1) " Who is my buyer?– - My buyers are women, from 30-60 years old, who have good salaries starting from 1000 dollars a month, and who can afford expensive cosmetics. "What are their needs? "- Their main need is to prolong youth and beauty. Get a quick effective result without paying too much. "How can my product help them? "- My product will help to get rid of wrinkles, make the more skin elastic and prolong the youthfulness of skin for 10-15 years. "How is it different from the competition?" The main difference from competitors – the price, which is lower by 30% and convenience - home delivery. 2) " What do I need to say?" So, we formulate the marketing message, based on the needs of customers. "We offer natural cosmetics that will prolong the youthfulness of your skin, starting from the first week of application, 30% cheaper than comparable products. Guaranteed results or money back. 3) " Where to place the advertising?" Women over the age of 30 often have one or two children, who are often based at home, and who communicate in social networks and forums dedicated to women's health and child rearing. Therefore, contextual or banner advertising in social networks, forums, or delivery of printed booklets to mailboxes will work well in this case. Always advertise the result, not the process! For example, not fighting being overweight, but rather weight loss! More adjectives to generate emotions- delicious, fantastic, exquisite, etc. We do not sell a product or service, we sell an emotion – a pleasure or benefit in its use. However, try not to overdo this. If you think that your advertising is becoming too pretentious – it probably is. In this case, go for a more "relaxed" style of presentation. Guaranteed quick home delivery of goods from the online store. Innovations often work well! If you position the product as an innovation, it will always be of interest! If you have a document confirming your competence, quality or properties of your product or service, be sure to mention it in the advertisement! We should talk about them in more detail. Many people ask themselves, "is it worth publishing testimonials or not?" It most certainly is, but there are nuances to consider! Testimonials should be present in advertising, as they increase confidence in you and your product/service. But it is important that your client believe in the authenticity of the testimonials. It's no secret that many of the positive reviews are written by advertisers themselves. What do you need to do? - Collect real positive testimonials. To do this, you can offer your customers a small bonus for a review of your company, placing this offer in a prominent place on your promotional material! So, you have collected the right amount of good quality reviews, but what to do with them? For reliability, we recommend adding a photo of the client and some of their data to the review: name, surname, name of the company in which the client works, and the city where they live. To use testimonials optimally, they need to be short and memorable, with the benefit to the customer being clearly highlighted. Be sure to reveal specific facts and figures in the reviews! The perfect review is a"Success story". The history should show the problem, the choice of your company as the solution, the decision and the result. Good photos, videos and other materials are key to showing authenticity. In this article, we have reviewed the key basics of marketing. To learn about how to implement them and the best way to write sales texts, you can read the following article: "How to write a business proposal".